The Satyam scandal has shocked India. Many in the financial circles are dismayed that the biggest-ever corporate fraud in the country could have escaped unnoticed for so many years. It has brought into question the levels of corporate governance in the country, and has cast an ugly shadow on the once shining image of Indian industry overseas. Founder and chairman Ramalinga Raju the head of Indian outsourcing firm Satyam Computer Services Ltd. India’s fourth- largest software services provider resigned, disclosing that profits had been falsely inflated for years and sending its shares tumbling nearly 80 percent. Satyam serves as the back office for some of the largest banks, manufacturers, health care and media companies in the world, handling everything from computer systems to customer service. Clients have included General Electric, General Motors, Nestlé and the United States government. 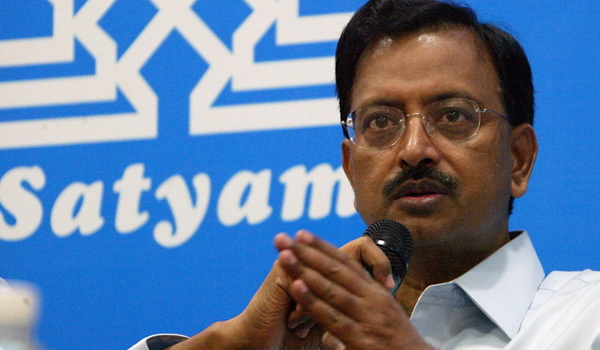 On January 7, 2009, Satyam Chairman B. Ramalinga Raju had resigned admitting to falsifying company accounts and inflating revenue and profit figures over several years. The controversy has got many in corporate circles here wondering whether it was India's new found love affair with capitalism that led to Satyam's downfall. In the letter to his shareholders, Mr Raju says that he was trying to cover up the losses at Satyam, and in doing so got caught up in a vicious cycle of lies and debts. He says this attempt to hide the losses from investors and shareholders was like "riding a tiger, not knowing how to get off without being eaten". According to Mr Raju's statement, about $1bn (£0.65bn), or 94% of the cash on the company's books, was made up - and analysts say it was the manipulation of the cash flow which could have been one reason why the deceit was undetected. Many analysts also say that the chase for huge profits and the desire to keep up with the break-neck speed of India's $50bn outsourcing industry's growth rates that may have been behind Mr Raju's motivation in fudging the accounts at his firm. Satyam computers, the fourth largest IT Company of India with 53,000 employees was charged in manipulating the balance sheet by illegal means. Satyam’s operating margin wasn’t the 24 percent as shown in its accounts audited by Pricewaterhousecoopers, but just 3 percent. Satyam had nothing close to the reported 5,360 crore ($1.1 billion) cash pile on its balance sheet. The real amount was just a measly $78 million. On January 9, 2009, Chairman Ramalinga Raju surrendered to the police and confessed for the 7,100 crore fraud case.